Map 1. Location of Mojave Desert of southern Nevada, USA and the Thar Desert of Rajasthan, India. 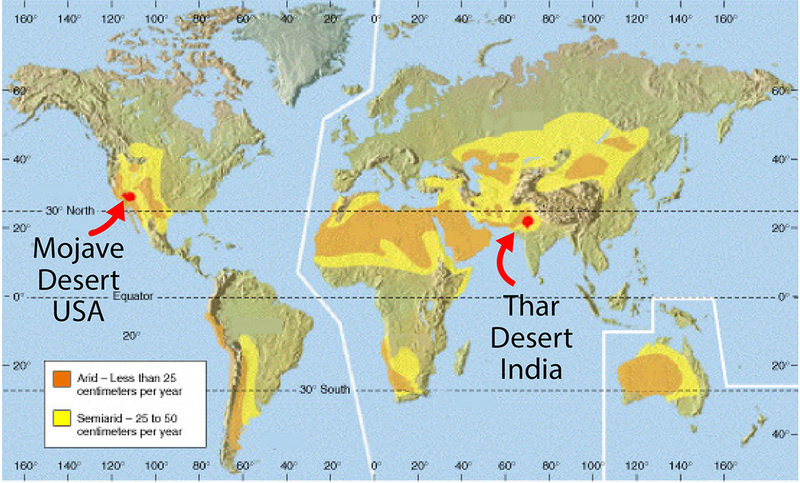 Both of these desert are in the typically arid portion of the planet, thirty degrees on either side of the equator where complex global air-circulation patterns produce little moisture. ​Map 2. 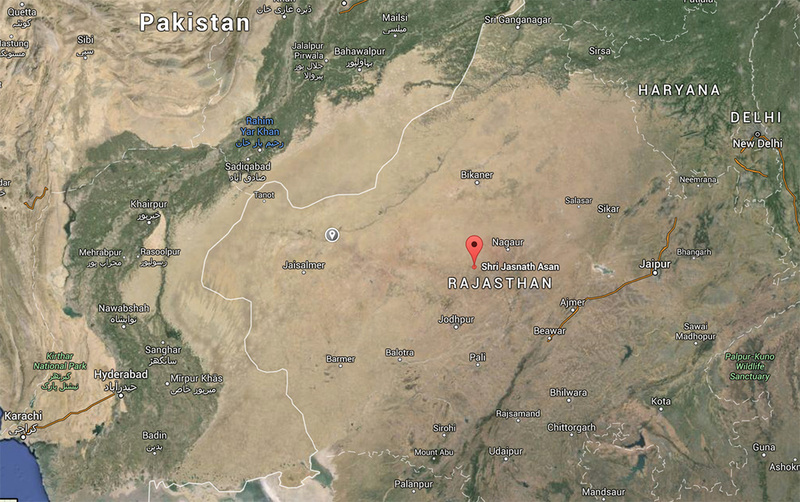 Location of the Shri Jasnath Asan in the Nagaur District, Rajasthan, India, deep within the Thar Desert of northwestern India. ​Map 3. 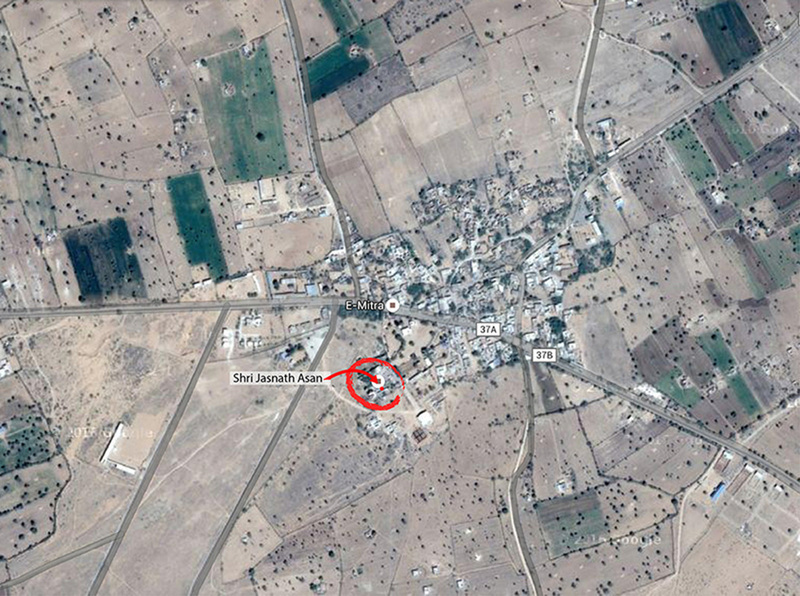 Location of the ashram, Shri Jasnath in the village of Panchla Siddha (place of deep meditation) near Khimsar, approximately 100 km from Jodhpur and 60 km from Nagaur. It is one of the oldest asans in the Marwar region. ​Map 4. 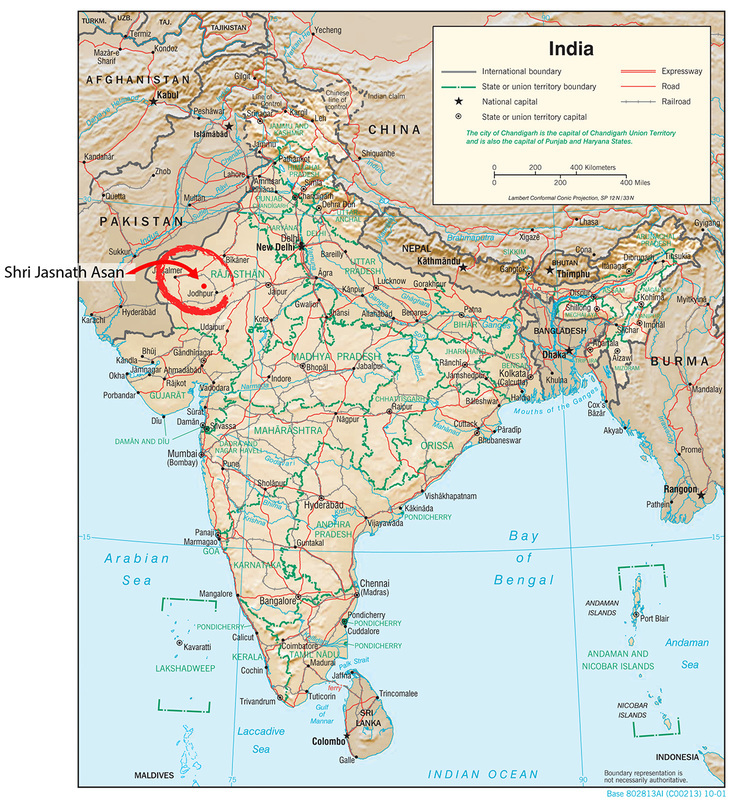 Location of Shri Jasnath Asan, a 500 year old ashram, where I will be staying for two and a half months to photograph and illustrate the region's unique wildlife and landscapes.